Our technicians are committed to maximizing the life of your assets and ensuring that your home rests free of plumbing, heating, and or cooling issues. 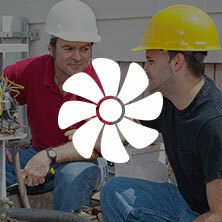 If you are intending to fix any problems relating to your plumbing, air ventilation, refrigeration, and or air-conditioning systems, it is important that you rely on us, Bears Family Plumbing, Heating, and Cooling to get you taken care of. Our knowledgeable and trained technicians will troubleshoot a number of your Plumbing and HVAC systems using the best diognostic tools. The breadth of experience of our technicians allows them to look past the immediate problems and determine the extent of repair required. Their training and expertise enables them to detect hidden faults with great precision and accuracy. 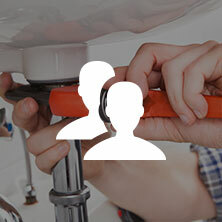 In this way, immense burden is lifted off your shoulders by trusting and using our Plumbing and HVAC repair services. New or Up Coming issues and problems can be brought to your attention so that you do not have to worry about making repairs on a frequent basis. But, don't just take our word for it. This is your next go to company. I needed a tank-less water heater and they gave me a great price, so I hired them and have no bad things to say. They came to the house looking professional and not like they were from some back alley. They got the job done quick, looks / works awesome, and it’s like they were never here except for the new equipment. Very Happy Customer! We got an ad for a free second opinion from Bears Family. So happy we did. The first company to visit before Bears Family told us we were looking at $600-$800 dollars in parts for our Central A/C and that the parts were likely to burn out quickly. So the other company wanted us to drop $5500 on a new unit. Bears Arrived on time and quickly diagnosed the same problem as the other company, however they only charged $140 for the same repair and were not at all pushy with high price sales. In fact, they recommended we keep our unit as it appeared healthy. Additionally they said that the other company’s quote for a house our size (1700 sq. ft) was extremely high. Cameron was pleasant, professional, and got things done quickly so I could continue with my day. I will be calling Bears Family for all my HVAC needs from now on. We provide many services including residential, water line repair/replacement, drain line repair/replacement, water heater repair/replacement, tankless water heaters, fix water pressure issues, fix leaking pipes, faucet repair/replacement, drain cleaning, bath & kitchen remodels. We provide hvac services including residential, furnace installation, maintenance, & repair, remodeling as necessary for installation and service, boiler maintenance & repair, heating maintenance agreements, air conditioning maintenance agreements, air conditioning unit sales, and heating unit sales. 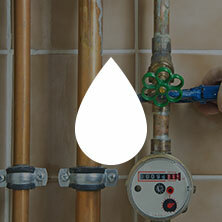 We are a family-owned and operated company with extensive experience in the plumbing and hvac industry. Over the years we have progressed in our success with professionalism, integrity, honesty, and taking pride in our workmanship. With dedication and confidence, we guarantee our workmanship and materials. ©2017 Bears Family Plumbing, Heating, & Cooling - Do not copy. All rights reserved.